If you're looking for a reasonably priced midsize pickup that is as comfortable off-road as it is on a long stretch of highway, check out the 2011 Nissan Frontier. With its powerful V6 and fully boxed frame, the Frontier can tow up to 6,500 pounds. 4-wheel drive, leg and compartment space, and the medium frame. Problems - ride can be a little stiff at times and I do not like that there is not an auxiliary outlet. Performance - has been great, it's basically all that I expected it to be. Reliability - I haven't had any problems in this area. I have taken it in for general maintenance and haven't had any other problems that weren't regular wear and tear. Comfort- although the ride can be a bit stiff after awhile, I like the amount of space and storage throughout the vehicle. Features- I do not have any additional features in my vehicle, but I do like the double glove compartment and the storage under the back seats. 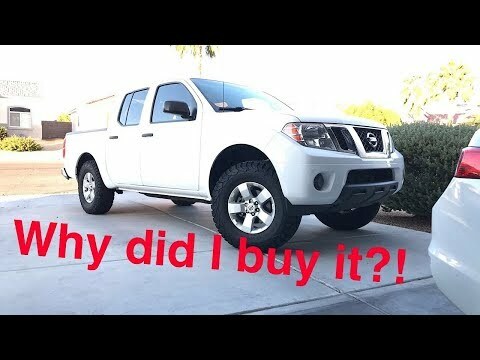 Pros and cons of my 2011 Nissan frontier. Constant problems with tire pressure, problem with service engine light regardless of making necessary repairs. Other than that it runs great good vehicle but bed is small and inadequate for hauling big items. Good for dirt and rough road. Being that it is a 4x4. Good on fuel problem starting on real cold winter mornings, constant problem with acid on battery battles. A good reliable truck that meets my needs for towing and hauling. Good overall truck. Had to replace the computer for over a thousand dollars at 78000 miles. Make sure if you get a tow package use the Nissan integrated wiring harness. Aftermarket products are minimal. off-road package and vertical descent works well together. Ground clearance could be a little higher. Road noise is minimal with the right tires.